Violence at Trump Rally Disqualifying? 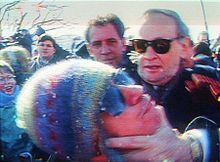 Let’s Remember the Shawinigan Handshake. Listening to the Sunday shows again as the “experts” expound on Donald Trump. This time, they are horrified that Donnie did not self-flagellate because of some violence at his rallies. 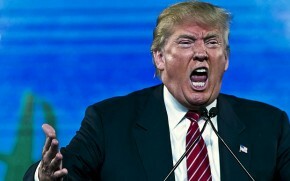 This, they hope, will be the reason people run away from the Donald. So many people think that threats of violence or actual violence is disqualifying. To me, it brings back thoughts of Jean Chretien’s Shawinigan Handshake and brings a smile to my face. While not his defining moment, it taught Canada that JC did more than just talk tough. It will be interesting to see, on Tuesday, whether the blather hurts or helps Donnie Boy. I am thinking the latter.